As I was walking through the Ginza neighborhood, I came across Kabuki-za, the main Kabuki theater in Tokyo. 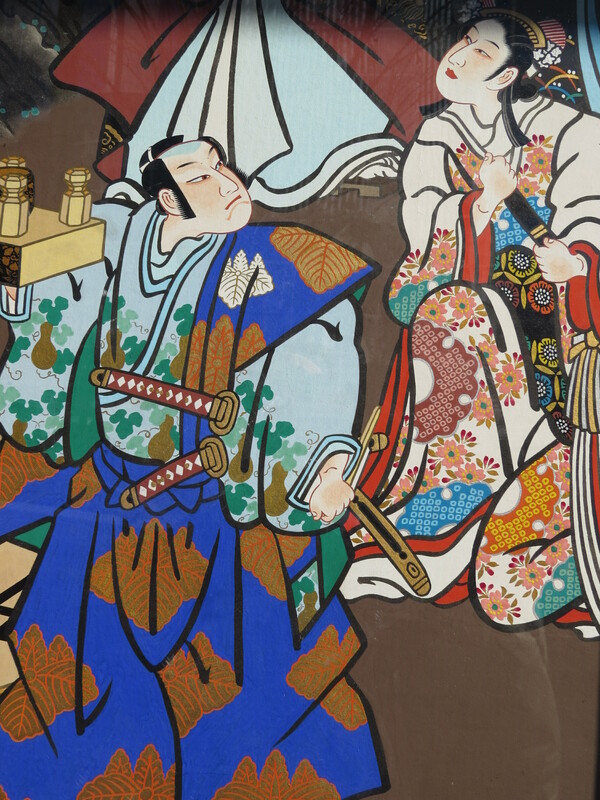 Kabuki is a traditional Japanese theater style with elaborate costumes and makeup. The theater was offering single act tickets, so I bought one and was able to watch a short performance. In the story I saw, a spider demon pretended to be a sword-smith’s daughter and tricked a master and his men. Eventually the demon was revealed and they had an epic battle. The costumes were very elaborate, and the acting was over the top and exaggerated. 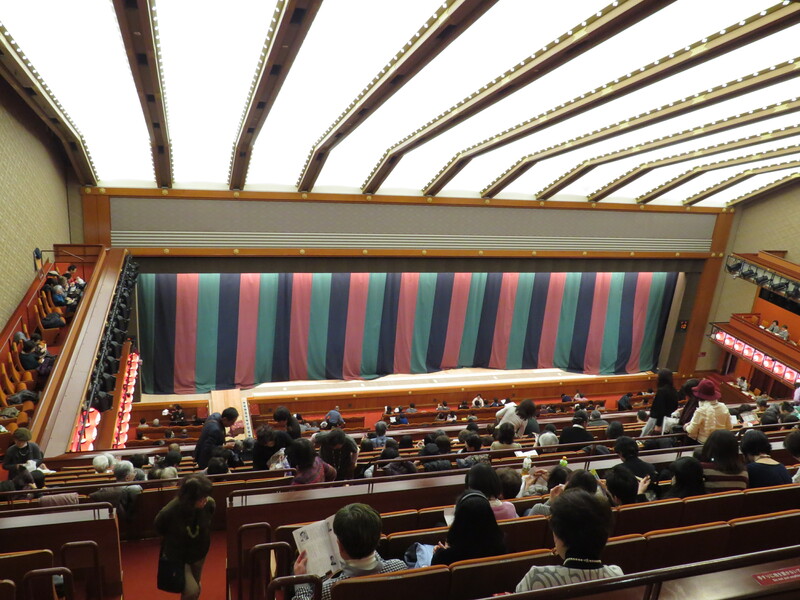 I wasn’t able to take pictures during the performance, but you can see what the theater looks like on the inside (I was in the nosebleed section). There were lots of older Japanese women there dressed in kimonos, which added to the experience. Here is the second half of my tour of Tokyo. To read Part 1, click here. Shinjuku is one of the primary wards in Tokyo, and it is the location of many of the government and commercial buildings. Most of the skyscrapers in Tokyo’s skyline can be found here. The nearby Golden Gai area of Shinjuku is one of the centers for nightlife within the city, with numerous small bars and restaurants lining the winding streets. I didn’t get to spend nearly as much time as I wanted to here since my back gave out after a long day of touring the city, but this is one of the top places I’d like to revisit on my next trip. As much as I loved Tokyo, I had one giant disappointment while visiting the city. 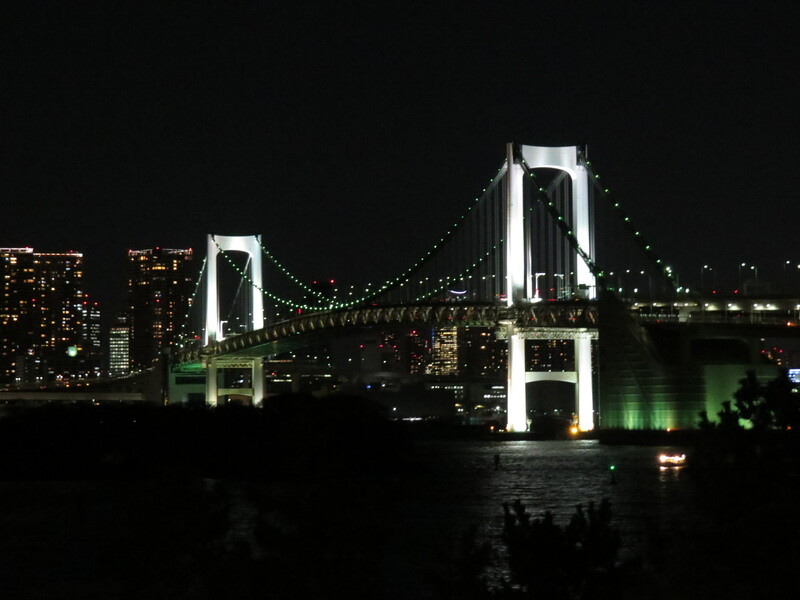 There is a bridge that connects Tokyo with an island, Odaiba. This bridge is called Rainbow Bridge, and the main parts of the bridge are illuminated in bright multi-colored lights at night. At least that is what I was led to believe from online searches. One night I walked across the bridge in hopes of getting some great shots of the colors against the Tokyo skyline. I made it to the other side tired and freezing cold from the high winds blowing across the bridge. The view of the skyline was great. The bridge was illuminated brightly. There was just one small issue. A not-so-Rainbow Bridge in Tokyo. Where’s the color? I waited for a while hoping that the bridge would cycle through to a color, but it never did. Afterwards, I found out that the colored lights are only used in December and the first part of January. I was there January 8th, so I assume that the colored lights must have stopped a few days earlier. So much for my planning! I’m pretty sure this is what the bridge looks like when its illuminated in colors. 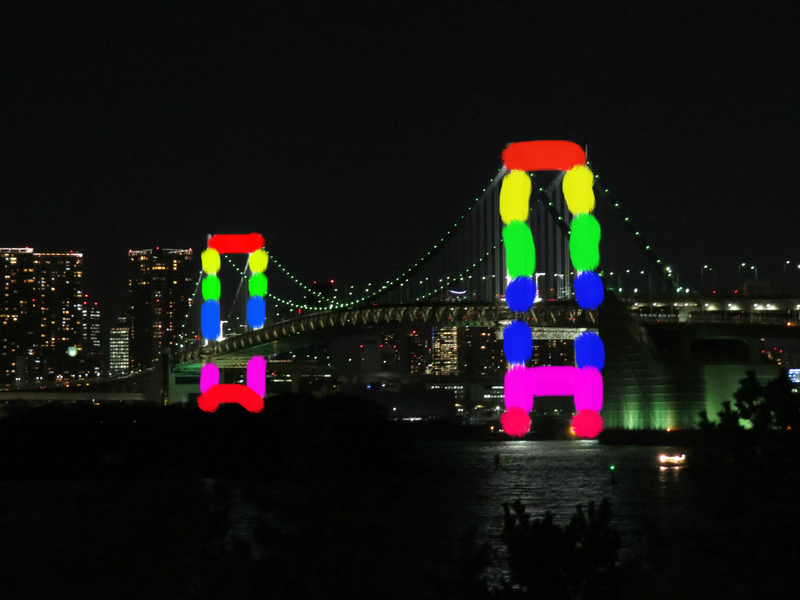 Artistic representation of Rainbow Bridge. Or you can see for yourself with a quick Google search. Tuna sushi from Tsukiji Fish market. Potatoes and avocado with a spicy cheese. Grilled rice ball with miso. Picked this goodness up from a street vendor in Nagano. Pork and noodle dish with rice and a miso soup. The title says it all. The monkeys can be found in Jigokudani Snow Monkey Park which is located in the mountains near Nagano. These little guys come out of the mountains to sit in the natural onsen (hot spring) in the winter. It’s a bit of a hike to get to the onsen, but it was a gorgeous walk through a quiet snow-covered forest. Along the way, I met a nice couple from Mexico City who were on their honeymoon, and we helped each other navigate to the park. The onsen area does get a little overrun with people since everyone wants to get some pictures, but it did not detract from the experience. It’s amazing how close the monkeys will get to you as they play with each other and run around searching for food. The path to the snow monkey park. 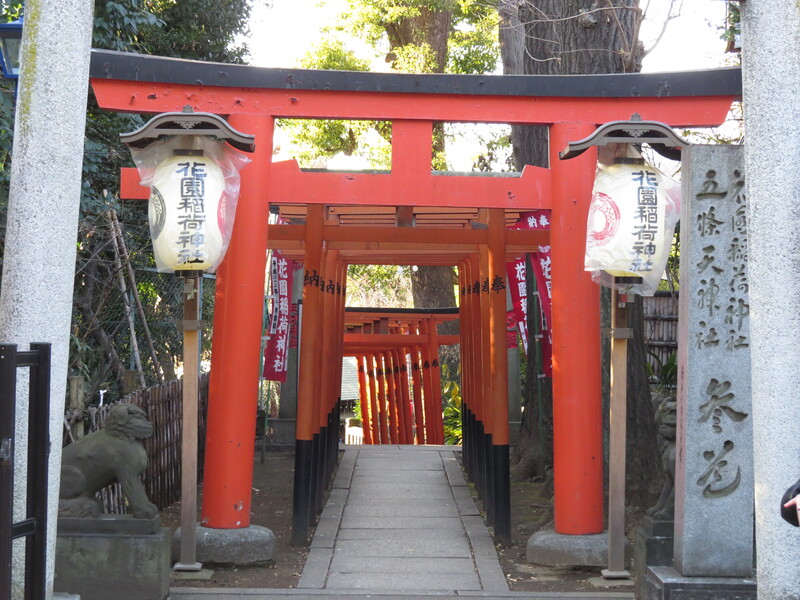 I treated my first trip to Tokyo as sort of a sampler, traveling around to different parts of the city and getting a feel for the some of the most popular wards and tourist attractions. There is way too much to cover in one trip, and I’d love to see more of the city and to dive deeper into some of the places I visited, but I’ll have to save that for another time. 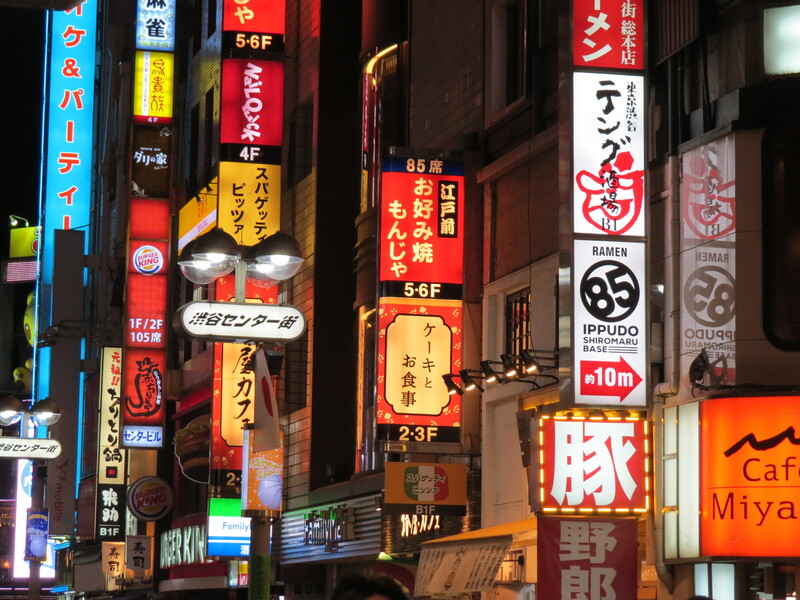 Shibuya is a trendy area with lots of shopping, nightlife and karaoke (of course). This is Tokyo’s Times Square. At the heart of Shibuya, near the train station, is the Shibuya crossing, which is described as the busiest intersection in the world. Traffic is stopped in all directions at one time, and the intersection becomes one giant crosswalk for about a minute of organized chaos. It is truly a spectacle to see, and it was featured in the movie ‘Lost in Translation.’ This was where I stayed in Tokyo, and it was also where I took my first steps in the city. It was a bit overwhelming at first, but its easy to fall in with the rest of the crowd.